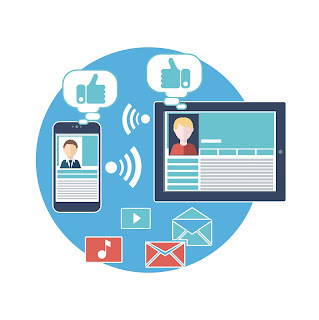 Staying "connected" is a huge need for many families these days, near and far. Whether online or on the phone, having a reliable and affordable wireless plan is pretty important to most. For my family, we are constantly using our mobile devices to stay in touch with our family and friends, for work and so much more. Knowing we won't have a signal lost is pretty important to us. On top of coverage reliability, we have a very strict budget and our wireless bill is the last thing we want to spend a lot on. Especially when we travel, having solid coverage is a must to keep in touch with family and even be able to find directions to where we are going. With Cricket Wireless, there are many options to help keep your bill low, along with great phones and coverage. Cricket Wireless offers top brands like LG, Nokia, Samsung and HTC. In addition to savings, having a reliable phone is pretty important. My husband and I typically do our research on our potential new phones before making a decision, and not just going with the most popular one at the time. With my husband being an electrician, he has to have a pretty sturdy phone that will last a while. We typically use our phones until they are falling apart. We have been pretty lucky finding great phones with brands like LG and HTC. One of my favorite things about Cricket Wireless is the plans include the taxes and fees so you don't have any surprises when you receive your bill. 1. Group Save discount: Save with each eligible line you add, up to $100/mo. 2. Auto Pay discount: Get $5 off your bill each month! Discounts on service does not mean you experience a discounted network, which is a HUGE plus in choosing a provider. ● More 4G LTE coverage nationwide than T-Mobile, Sprint, MetroPCS, Boost or Virgin Mobile. ● A reliable nationwide network that covers 98% of Americans. ● Switching is simple — you can even BYOD (Bring Your Own Device) to Cricket’s 4G LTE network and swap your SIM for just $9.99. 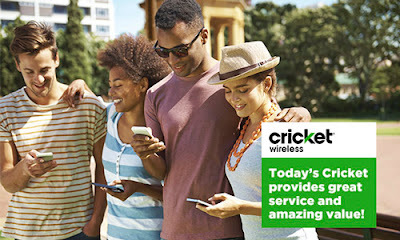 ● New network, great service and amazing value — that’s today’s Cricket! Looking to switch? Cricket has some amazing holiday offers right now, be sure to check them out! 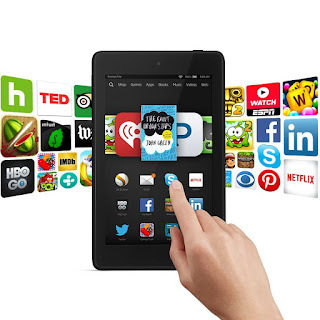 This blog post is part of a paid SocialMoms and Cricket Wireless blogging program. The opinions and ideas expressed here are my own. Amazon continues to offer deals on hot products for everyone on your gift list this holiday season – during 12 Days of Deals. These deals are featured daily by theme such as “Kids,” “Globe-Trotter,” and “Tech Enthusiast.” In addition to themed daily deals, Amazon customers will continue to find at least five Deals of the Day every day and hundreds of daily Lightning Deals across product categories throughout the 12-day sales event. Amazon Gift Card Lightning Deals & More! Amazon has started their Gift Card Lightning Deals again! *Keep in mind we do not know the discounted price until the toy’s lightning deal is activated so you will need to check back in on your favorites. 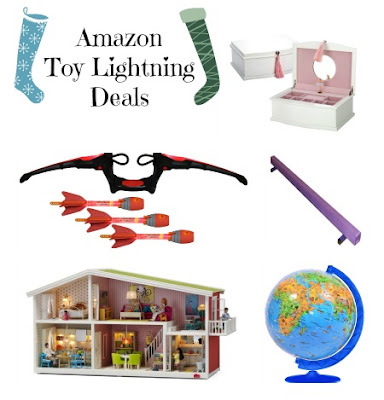 Amazon Toy Lightning Deals December 7th - Paw Patrol, Melissa & Doug & More! Hurry over because today only get this BLACK+DECKER 20-Volt MAX Lithium-Ion Cordless Combo Kit with Home Essential Accessory Kit (11-Piece) only $199 (Retail $399.93)! Right now!! 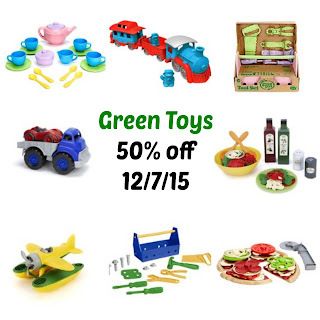 Save 50% Off Select Green Toys!